Brian and Melissa discuss their new blog series, “Where the Food Comes From” A balanced look at the Food Supply Chain, Agribusiness, GMO, TTIP and more. Join the conversation. Christina specializes in freelance design and trends research. She conducts lectures on trend investigation studies, textile/surface design and history of fashion. As a trend investigator, she specializing in street and online investigations, trend reports and trend and moodboards. Furthermore, Christina is the Editor of Roadtrip to Innovation, “How I came to Understand Future Thinking” by Delia Dumitrescu. Studio Bellwether offers trends investigation tools and trainings that help creatives and visionary entrepreneurs initiate what’s New + Next with trends-based inspiration so that their businesses and designs are continuously ahead of the curve. -Rodrigo and James of the Sunday Morning Brunch went to the Guiri Business Network Job Fair last Friday the 9th, and interviewed a few of the guests, Tune in to hear excerpts of the event! Guiri Business Segment featuring Brian Heinen discussing the Guiri Buisnes Group, the monthly networking drinks and Octobers´s Guiri Business Jobs Con & Expo in Barcelona. 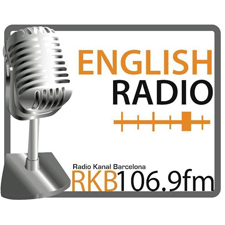 Katrina and Sam also host a weekly Friday show called: Barcelona English Radio, Fuel 4 Fridays. Scroll through to find and listen to all previous shows.